Must-See Show Alert- Justin Townes Earle and Lilly Hiatt are playing The Hi-Fi on 5/16. 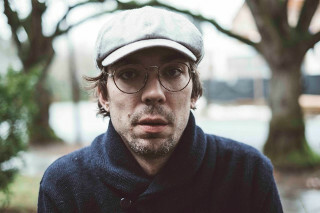 Justin Townes Earle will grace Indianapolis with a stop on his solo tour through the United States and Australia with special guest Lilly Hiatt. Get ready for an all-around good-time show. Since 2007, JTE has released 7 LP’s and 1 EP – including his newest album, “Kids in the Street (2017).” His unique music style has been described as everything from Americana, Country, folk, Blues, and Soul - and it’s been said that he puts on his most amazing shows in theaters and small intimate venues. 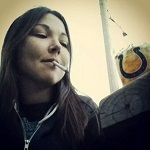 Come out to the show and send Justin and Lilly off with tons of Hoosier love before they head to Kalamazoo, Michigan. If you’ve never been lucky enough to catch a Justin Townes Earle live show, or even if you have, you’re in for a treat this time around. Generally, JTE has his right-hand man Paul Niehaus (steel guitar player) along with some perfectly chosen guest musicians with him on tour. This time, as he's been known to do in the past, he's doing a stripped down solo tour; just the man and his guitar. The last time he did this, he went out every night without a set list and just played what his heart desired, and it was a truly beautiful and moving experience. His confidence as a seasoned musician at 36, and his quick Southern wit and charm draw the audience in. He tells stories about his life and imparts knowledge of the importance of music, and the preservation of history and baseball. He gives advice on sobriety, and tells the truth of when he wasn't. JTE, while obviously paying homage to the influences of his father and namesake, has a music style all his own. Never afraid to be himself or make the music he wants, his wide variety of musical influences are evident in his songwriting. His music is whiskey-soaked honkytonk, then jazz-influenced, to beautiful, soul-stirring gospel sounds, all the way to Memphis blues. His latest album, “Kids in the Street” is an open and inviting exploration of the cornucopia that is his musical inspiration. Justin Townes Earle’s music invokes feelings of real, raw emotion from joy in simple things; appreciating what life teaches us, to sadness, tales of sorrow, and back around to finding strength and the endurance to rise above; there is an unmatched truth and honesty in JTE's songwriting. It is this authenticity, and the realness of the thing, that touches an audience. His writing style is literary-influenced; he's a well-read songwriter who blends Southern styles and ways with vast knowledge of literature in a way that is both thought-provoking and genuine. His song writing, lyrics and performances leave no doubt that he is the real deal. Justin Townes Earle is the truth. 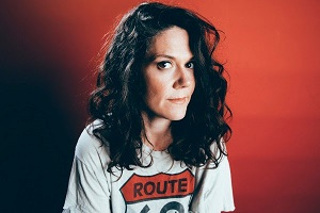 Come out to the Hi-Fi Wednesday night to catch Justin Townes Earle’s solo set, and a great performance from Nashville-based indie/rock/country/folk artist Lilly Hiatt (daughter of John Hiatt). Check out more information on both artists below. Tickets go on sale at 12 p.m. EST this Friday, February 23.